Big Data technologies are now mature enough to provide case studies of real-life time and cost savings. Here are two of them, which highlight Tableau capabilities and benefits. Aspire Public Schools manages a network of 30 charter schools in Oakland, California. Network teachers and administrators focus on providing excellent education opportunities for 10,000 students in traditionally underserved neighborhoods. Many Aspire students come into the network years behind in school. The problem: teachers had more work than time to do it. Responsibilities that distracted teachers from providing students with instruction and guidance was the main culprit. Aspire’s senior manager wanted to provide teachers with better data that would make the most of their hard work and experience. Spend less time discovering, preparing and analyzing data. Improve reporting from the network’s 20 operational groups. Actively integrate data from 20 groups. Create visualizations around student achievement and attendance data. Faster results. Data requests are answered in 48-hours instead of two, three or four weeks. More time to help students succeed. Teachers drastically reduced the 0.5 to 3.0 hours each spent each week analyzing data. Now they spend more time gaining insights on what they should do in the classroom. Flexible IT tools that work with existing technology. 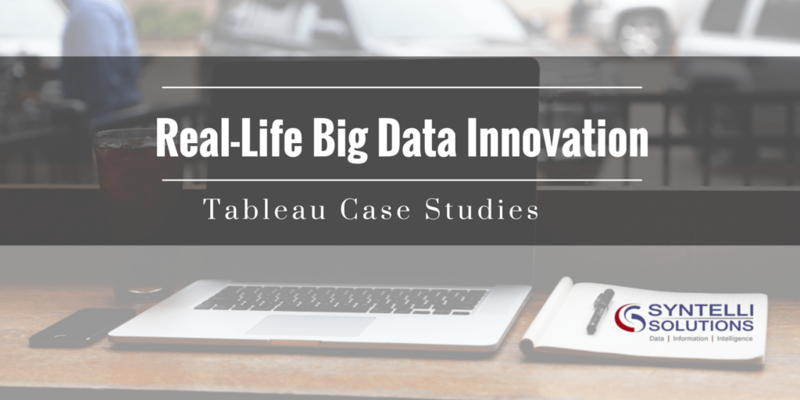 Users combined Tableau with relational SQL databases and cubes, some of which were several million row in size. That’s how Aspire’s new Tableau system transferred teacher time from analysis to teaching duties, where it belongs. Major League Baseball’s Texas Rangers are based outside Dallas, where the southern prairie of the American West begins. Long a fixture of the American League, the team’s baseball players and the club’s support teams work hard to help the team prosper. The back-office ladies and gents started using Tableau to meet these goals and optimize their business results. But they had a serious problem: badly siloed information. The staff’s fragmented data made it impossible to make better decisions because they didn’t have a complete view of their fans. And outdated tools made analysis—a constant story of dueling spreadsheets—a painful, drawn-out process. Business users in each department took data from their own archive and their made own version of what they wanted to see. Previously, the team had many data sources. But after task force members started using data from Tableau’s centralized data repository, they could find and use data more easily. Dueling spreadsheets were a thing of the past. And Tableau visualizations provided more insightful, actionable information much more quickly than was possible with their old tool set. With real-time analytics, cost control opportunities came from unexpected places. For example, same-day ticket sales information on customized Tableau dashboards made it plain that a severe rain delay put a serious dent in walk-up ticket sales—not a ticket sold in 15 minutes. When the team decided to close 75 percent of their ticket windows, they put a serious dent in that day’s operating costs. The result: Tableau’s centralized data, interactive dashboards and advanced visualization helped task force members discover ways to run the team more efficiently.